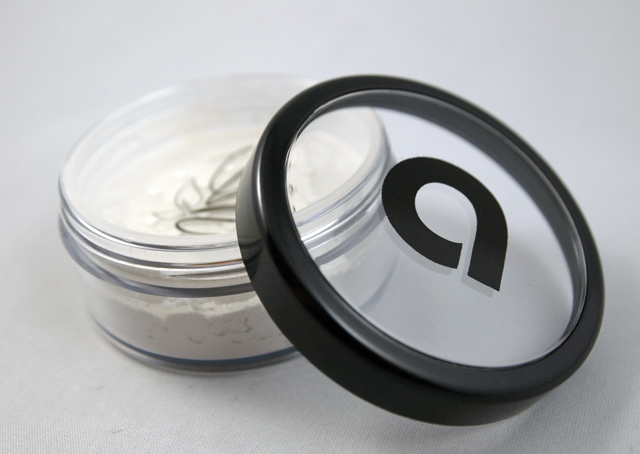 One of my favorite items in my makeup kit is a setting powder in a universal shade. Many conventional brands offer these as "HD" powders, as they disappear on the skin without looking cakey. I love them not only for the invisible finish, but also because I can carry one shade that works on any client. I have been looking for a more natural universal powder, and I enjoyed testing Afterglow Cosmetics' Organic Setting Powder in Translucent. I found this product to perform quite well, disappearing instantly onto my skin and working with a variety of skin tones. It should be noted, however, that this powder does come in three tinted shades as well, in case you're looking for a bit of color in your powder. The translucent shade is by far the most versatile and is a nice alternative to "HD" powders. It is a great tool for makeup artists looking to pack light and reduce the number of products to buy and maintain in their kits. I was excited to see that all four shades rated a remarkably low 1 on the EWG Skin Deep database. If you're looking for a setting powder, particularly one in a universal shade to use in place of silicone powders, this is a great option.